The Irish national carrier, Aer Lingus is being acquired by IAG (International Airline Group, LSE:IAG), the 6th largest airline group in the world with revenue of $US 24.7 B (billion) and the parent of British Airways, Spain’s Iberia and LCC Vueling, valuing the airline at Euro 1.36 billion (+/- $US 1.53 billion). Under current CEO Willie Walsh, IAG has restructured its 3 airlines and is ready to grow its business and profits, Aer Lingus is a healthy airline, it needs no restructuring, no bailout, it is already profitable with some impressive profit and growth numbers. In January, Aer Lingus (LEFT photo-Aer Lingus A321), (with 40 x A320 family aircraft, 7 x A330’s and an order for 9 x A350-900’s) agreed to be bought out by IAG (International Airline Group) which includes British Airways (CENTER photo-British Airways A380) and totally unrelated to that deal IAG’s oneworld partner Qatar Airways (RIGHT photo-Qatar Airways A380) bought 10% of IAG through the stock market. In both cases the deals are very good, strategic in nature, and for IAG, it gains 23 very valuable takeoff and landing slots at London’s Heathrow airport, which it needs to add more long haul flights for its continued success out of Heathrow where it has 41% of the slots. 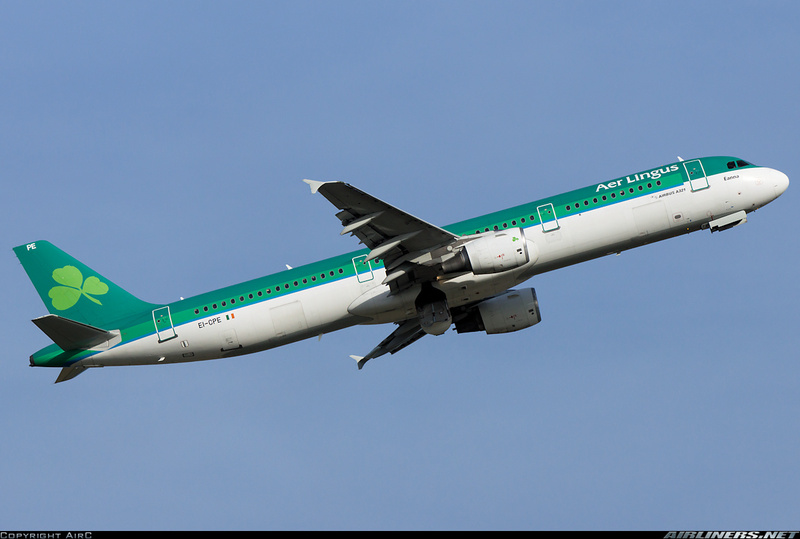 The value of the Aer Lingus slots is estimated to be worth $US 460 million or 30% of the $US 1.53 billion deal, that is the real value of the deal for IAG, as it needs as many slots as possible to continue growing its long haul business out of Heathrow. At the same time, and not related, but also giving IAG a big strategic boost is the fact Qatar Airways, a fellow oneworld alliance partner took a 10% interest in IAG by buying the shares on the stock exchange from an investment fund, and the purchase will not give Qatar Airways a Board seat or any influence on IAG’s strategy, but it is a wonderful strategic hook up and expect more code sharing and cooperation between Qatar Airways and IAG. IAG comprises of 3 airlines, LCC Vueling (LEFT-photo A320) and Iberia (RIGHT-photo-A340) and British Airways, soon to be joined by Aer Lingus, and the IAG Group is eyeing possibilities with Finnair and TAP Air Portugal. 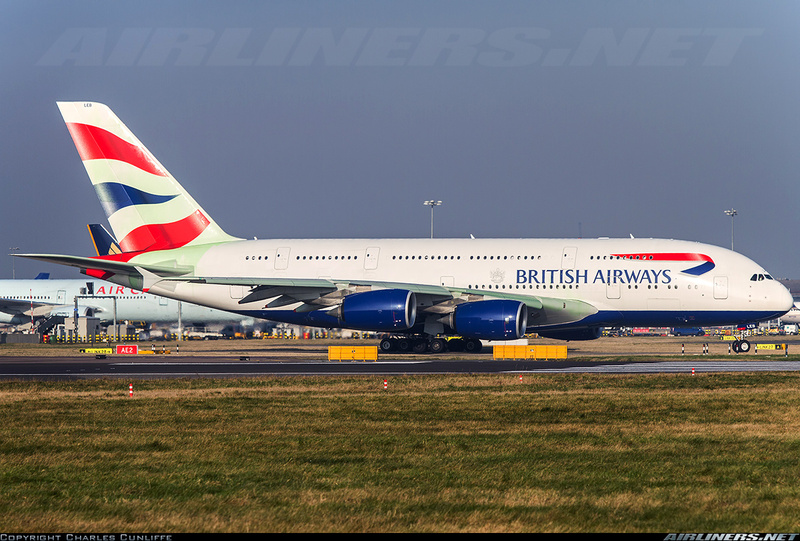 In total IAG will have 499 aircraft in service between the 4 carriers (39 x B747, 4 x B767, 58 x B777, 13 x B787, 2 x A318, 39 x A330/340, 327 x A320 family, 10 x A380 27 x other). NOTE: IAG does have a 0.95% share in RAM (Royal Air Maroc) and 2.3% of Air Mauritius as well. The strategies of the 3 BIG Middle East airlines is clear, Emirates is going it alone, no alliance, no equity partners, Etihad is growing through equity alliances and tie ups and no alliance membership either, while Qatar Airways is into alliance membership and now equity tie ups for better cooperation and not control like Etihad, which strategy will win out ? time will tell, each has its own strength and weakness. Middle East airlines are at odds with European and US airlines about their perceived subsidies and protectionism from the west. Many Middle East airlines are reaching the limits of their existing bilateral agreements, but Europeans have been reluctant to give them additional rights. The open skies between UK and UAE have opened that door wide open, while the Germans and Italy are giving Etihad a tough time and restricting Abu Dhabi to Berlin flights by Air Berlin (29% owned by Etihad) as well as Italy restricting Milan to New York for Emirates, protectionism is back. Qatar is making it clear that future business with the country will depend on openness to air traffic rights for Qatar Airways, for instance it plans to buy new fighter planes to replace its 2 Mirage 2000’s, so politics is in full swing on both sides now. The problem is that Europe’s airlines have no problem in receiving state aid, but criticize the Middle East airlines for their state aid, which can be in so many forms (e.g. low fuel prices, financial guarantees, training, real estate, airport rents, CAPEX, etc.) I like Lufthansa’s support for a WTO type rules in air transport to help level the field though, that has not worked out perfectly it is ok, though Boeing and Airbus still dispute each other’s claims as does Bombardier and Embraer. Clearly LCC penetration is huge Europe with the likes of Ryanair (Ireland), EasyJet (UK), Norwegian (Norway) and Wizz Air (Hungary), and with up gauging to larger aircraft (A319 to A320, A320 to A321, etc.) and hundreds of new aircraft on order, like Ryanair’s latest 200 aircraft order for the B737Max200 a 200 seat version of the B737-800, some see massive over capacity on core routes driving yields further down. 1. Ryanair (Ireland) with 82.8 million passengers, 1,600 routes and 303 x B737-800 aircraft. 2. EasyJet (UK) with 63.4 million passengers, 686 routes and 222 aircraft (69 x A320’s and 153 x A319’s which leaves a lot of up-gauge potential to lower CASM). 3. Norwegian (Norway) with 21.5 million passengers, 405 routes and 90 aircraft (74 x B737-800, 9 x B737-300, 7 x B787 for the new long haul LCC operation that has created a storm of protests from protectionists in Europe and North America – mor eon that in a separate blog). 4. 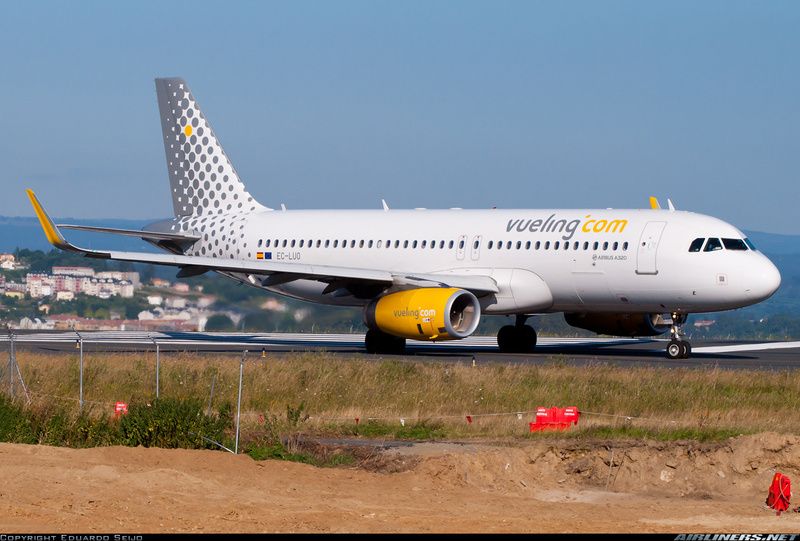 Vueling (Spain) with 19.1 million passengers, 188 routes and 90 aircraft (65 x A320, 25 A319) part of IAG. 5. Wizz Air (Hungary) with 14.5 million passengers, 291 routes and 52 aircraft (52 x A320) looked for IPO in 2014 then cancelled, owned by Indigo Partners (USA) and a possible acquisition target in 2015-2016. The IAG deal comes after two previous IAG offers were rejected (Dec 14, 2014 offer of Euro 2.30 and then Jan 9, 2015 of Euro 2.40), the final offer was on Jan 24, 2015 at Euro 2.55 per share, clearly IAG was determined to bring Aer Lingus into its fold, it was an unlikely winner, as Ryanair had made several attempts to buy Aer Lingus and has a 29% share in it, while Etihad Airways has only 4.9% of Aer Lingus shares, but it was slated as a possible future Equity Alliance partner, but right now, Etihad has too many big “losers” on its hands, the likes of Air Berlin, Alitalia and Jet Airways are big money losing airlines it will take a lot of resources to bring them to profitability. The big acquisition player in the European airline industry the past few years has been Abu Dhabi based Etihad Airways of Abu Dhabi. It has bought 49% of Italy’s Alitalia (ABOVE LEFT-photo A319), 29.21% of Germany’s Air Berlin (ABOVE RIGHT photo-A319), 49% of Serbia’s Air Serbia (BOTTOM LEFT-photo A319) and 34% of Switzerland’s Darwin Airlines (BELOW RIGHT photo-Saab 2000) to add to its pool of “Equity Alliance” partners. These airlines have found their “white knight”, they were the weak and struggling airlines that survive today thanks to the investments Etihad Airways has made into them, otherwise they would ALL be bankrupt today. The IAG/Aer Lingus deal will actually be the first profit for Etihad from its European equity investments, as its 4.9% holding has almost doubled in value. While Etihad Airways has been the “white knight” for the above 4 European airlines, I do not believe it has the need/want, and resources for another European airline “bail-out”. It has a lot on its plate with turning around Air Berlin, Alitalia and Jet Airways (India) those are 3 huge turnarounds to accomplish. So the European airlines looking for help from the BIG 3 Middle East Airlines, I say forget it, Emirates is not going down the mergers and acqusitions road, Qatar Airways is presently interested in India’s LCC IndiGo, and setting up Air Maha in Saudi Arabia with 50 Airbus aircraft planned over 5 years, as CEO Akbal Al Baker says “with 350 aircraft on order, we do not have to shop for anything”, he has lots of aircraft coming, and the question is where will they all go ? it’s 10% share in IAG is a strategic move with another oneworld alliance partner. NOTE: Etihad Airways is not done buying into other airlines, it has teamed up with Angola’s national airline TAAG (8 x B737’s and 6 x B777 plus B777 on order) to acquire the African national airline of Cabo Verde TACV (1 x ATR-42, 2 x ATR-72, 2 x B737 and 1 x B757) as it is being privatized this year, the geography of the island nation makes it a good hub and transit point between Africa, North America and South America with 2 big airports, Sol Airport and Praia International, the country has the potential due to its geography, politcal stability and investment friendly regulations to be a strategic aviation hub like Abu Dhabi, Doha and Dubai.A good strategic acquisition for Etihad that would be, love it when I see real strategies in play, we need more airline leaders to think outside the box, strategically and long term, our industry is sadly too short term oriented. 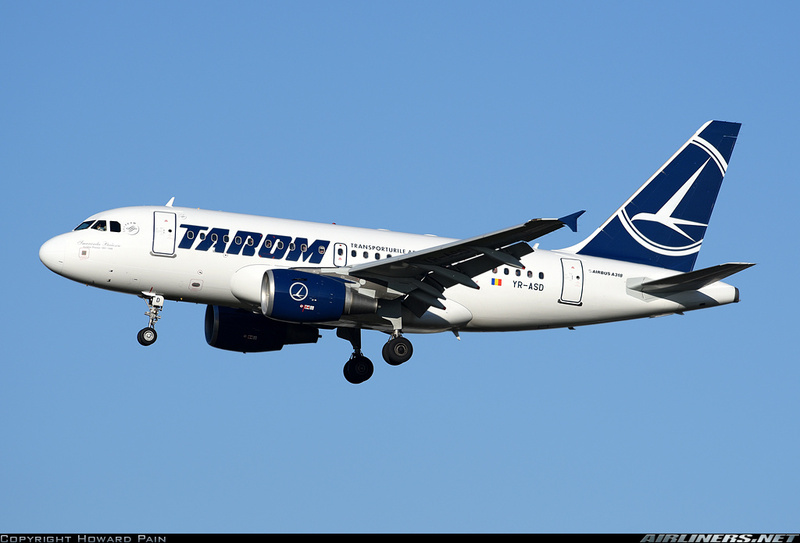 Also intereste din the privatization of TACV is Okay Airways (China). Lastly, South African Airways (SAA) is another airline that should be bankrupt if it were not for state aid, is restructuring and getting close to Etihad commercially, as well SAA is looking for a partner, look for Etihad to invest in SAA to become an Equity Alliance partner in coming months, but nothing in Europe for sure. NOTE: More information on Etihad’s Equity Alliance partners and its strategy read my Blog of August 12, 2014. For IAG CEO Willie Walsh it is a home coming, he is Irish, was a pilot cadet at Aer Lingus in 1979, did his MBA while qualifying as B737 captain, then to Furura in Spain, before coming back to Aer Lingus as COO and CEO in 2001, and at only 43 in 2005 he became CEO of British Airways, wow, hats off to that career ! He is one of the very few excellent airline executives that comes from the pilot side of the business, my experience is that flying and running an airline are very much apart and few make the transition. Either way right now the two biggest and most dynamic executives in the European airline industry are 2 Irishman, Michaal O’Leary and Willie Walsh one running the biggest LCC the other a FSC (full service carrier), each of these executives have charted a very sustainable strategy for the future for their carriers, and soon Ryanair may enter the long haul market to North America from Stansted Airport and challenge British Airways’s expansion plans. There is no hiding that the big desire of IAG in Aer Lingus are the 23 London Heathrow slots, which some industry observers believe are worth around $US 40 million a pair (takeoff & landing), which would value the slots at $US 460 million or 30% of the total value of the Aer Lingus deal. British Airways (BA) market is long haul from Heathrow and some hub and spoke flying. It has capitalize on open skies which is in place between Europe and the US, and BA needs more slots at Heathrow which is capacity capped at around 1,300 takeoffs and landings and the only way to grow out of Heathrow (LHR) is by using bigger aircraft or finding new slots and slots are an important tool for coordinating demand for air travel and the capacity of the airport runways and terminals. Secondary slot trading exists at the busiest airports, an open market for airlines to buy and sell slots among themselves. Most recently BA got 47 slots when it bought British Midland Airlines, it was the BIG prize in that deal and in the past month it also bought 4 slots from United at LHR for around $US 20 million and now British Airways has 41% of all slots at Heathrow, that is a huge competitive advantage, and this will increase to roughly 43% as the 23 ‘new’ slots from Aer Lingus are added to BA. There just simply is no way to grow at LHR, and BA is taking every possibility it can to acquire more slots for long haul flights, that is it’s bread and butter, and a new runway at LHR is years away, slots are a rare commodity and airlines are willing to sell and buy them, based on use it or loose it principals and grandfather rights, that is an issue for another blog ! The Aer Lingus acquisition will add a profitable hybrid airline that has reinvented itself under its CEO Christoph Mueller (ex-Sabena) and he is now heading for the same role at very troubled Malaysian Airlines (MAS) where he will have is work cut out for him after the 2 tragic B777 accidents in 2014. Under Mueller, Aer Lingus has moved away from the LCC model and focused on long haul with better connections in Dublin. Up to 3Q 2014 Aer Lingus was looking real good financially, revenue of Euro 1.22B, operating profit of Euro 103 million which is a 8.4 margin, and actually slightly better than IAG’s margin of 7.5% by 3Q/2014. The driver is North America, and ASK’s were up 11.4% while revenue was up 13.9% and it is expected that ASK’s will increase on the North American market by 15% in 2015. 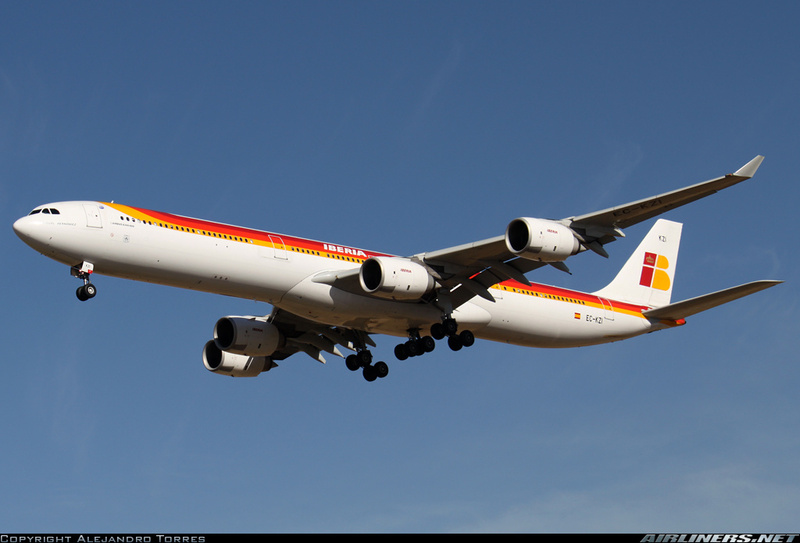 Over at Iberia, IAG has done an incredible job turning that struggling flag carrier around, like many of the European flag carriers, it struggled with high costs, old labor rules and an onslaught of LCC’s (today 50% of all seats are offered by LCC’s).With losses over $US 1.25 B (billion) in 5 years it was basket case, but a Euroe 67 million operating profit for the 1st 9 months of 2014 shows it has come out of its coma and is back ready to add to the profitability of IAG. The patient got better through very tough reductions in employees and big salary cuts a big thing in Spain where unemployment is high. Right sizing the airline by 20% and CASM today is Euro 7.7 cents better than British Airways at Euro 8.3 cents, that is very impressive for an airline that was on the verge of bankruptcy only 5 years ago ! The IAG acquisition of Aer Lingus is a whole lot different than the ‘white knight’ approach of Etihad Airways where it is saving Air Berlin, Alitalia and Air Serbia. In fact Etihad has 4.9% of the Aer Lingus shares and was eyeing a possible larger acquisition but seems IGA beat it to it, as Etihad has its hands full rescuing the above and India’s Jet Airways, as well local LCC Ryanair, the big gorilla in the market has 29% of Aer Lingus stock but was forced to reduce it to 5% by the European Commission as anti-competitive, yet they will allow this acquisition ? It will most likely be the first and long overdue step in the next phase of airline consolidation in Europe, which is the most fragmented and least profitable airline market in the world where around 217 airlines groups of all sizes compete for +800 million passengers per year. In fact the top 5 airlines in the US market by traffic market share (Delta 21%, American 25%, United 16%, Southwest 21% and Alaska 4% ) have 87% of the passenger traffic, while in Europe the top 5 (Lufthansa 13%, AF-KLM 8%, Ryanair 10%, IAG 8% and EasyJet 7%) have only 46% of the traffic, which very well relates to their respective net profit margins (2013: Europe 0.2% N.A. 3.3%) (2014: Europe 1.3%, N.A. 4.3%). The more concentrated the less competition there is, which allows higher pricing, this is why North American airlines are doing so well these days, less competition as Northwest, Continental, US Airways, Air Tran have been acquired by competitors. In short, it is time for European airlines to start consolidating by buying up other airlines, but wisely, Air Berlin is in trouble because it went overboard with acquisitions and bought dBA, Hapag Lloyd, LTU, LGW, Belair and flyNiki, now it survives thanks to its ‘white knight” Etihad Airways, but it can work as well American is a product of Trans Caribbean Airways, Air California, Reno Air, TWA and now US Airways itself a product of America West, Delta is a product of purchasing Northeast, Western, Pan Am-European ops and Northwest Airlines. There are 3 very interesting airlines in Europe that I believe will be in M&A (mergers and acquisitions) play in the next 18 months. 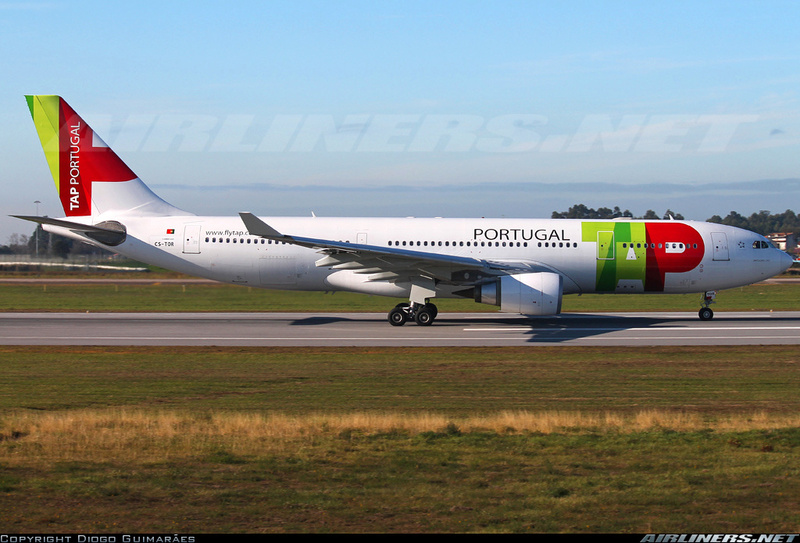 TAP Air Portugal (LEFT -photo A330) is to be privatized in 2015, last time it was cancelled, this Star alliance partner will be interesting for IAG for sure and possibly Lufthansa Group, though it has its own issues with Brussels Airlines, Austrian, GermanWings, EuroWings and Swiss, it has great connections to Brazil, and to a lesser degree Africa and the rest of South America. 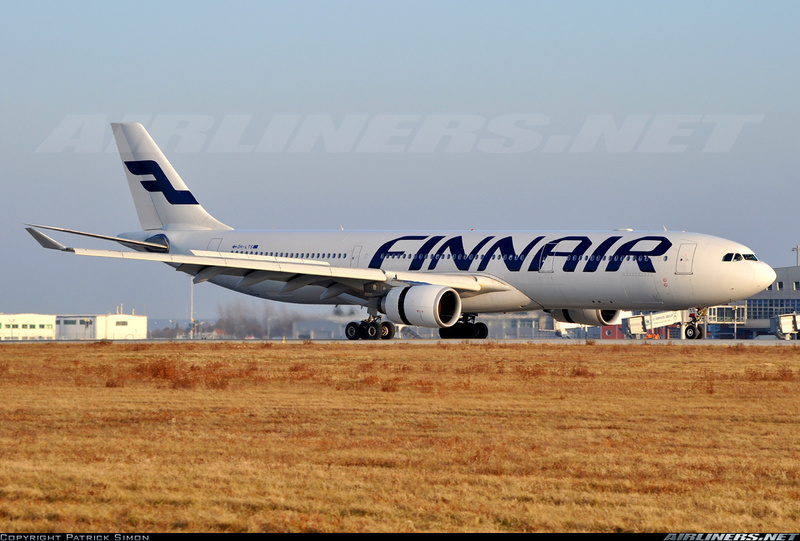 Finnair a oneworld alliance partner will also be of interest to IAG, it offers a northern gateway to Asia and North America. 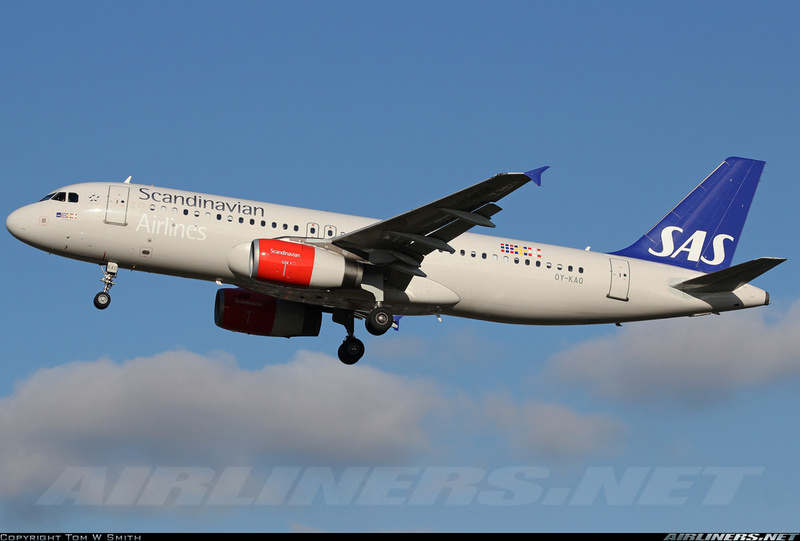 SAS has struggled for a long time, still owned by Sweden, Denmark and Norway, the carrier is on its last chance to succeed, it is a Star alliance partner and may be of interest to Lufthansa and AF-KLM with its northern network. Surely on the radar of some European airlines is SAS (struggling for years, Star Alliance), Finnair (oneworld alliance and IAG is interested), TAP Air Portugal (privatization set for 2015, Star Alliance and IAG is interested), and I except to see some M&A activity in all 3 of the above by anyone of the BIG 3 in Europe which are IAG (one world alliance), Air France-KLM (SkyTeam) and Lufthansa (Star Alliance). There will be many failures in the European airline industry in the coming 2 years, the above 6 European airlines, (Adria, Air Baltic, Croatian Airlines, LOT, Tarom and Estonian Air) are all government owned, and have been at the trough of government aid several times, they are small and squeezed between the big LCC (low cost carriers) and the full service carriers, each has struggled and all are looking for their “white knight”. Some have tried privatisations like Croatia, but zero interest, lastly, they are alive today thanks to government bail outs, but as members of the EU, they cannot go back for more, and sadly, at least half will not be around in 1-3 years time, no sustainable business model, no competitive advantage other than their respective home markets, but as we have witnessed, air travel is a commodity on short flights (under 2 hours), lowest price wins most of the time with price elastic passengers and the low cost carriers are fierce competitors to all state owned airlines. 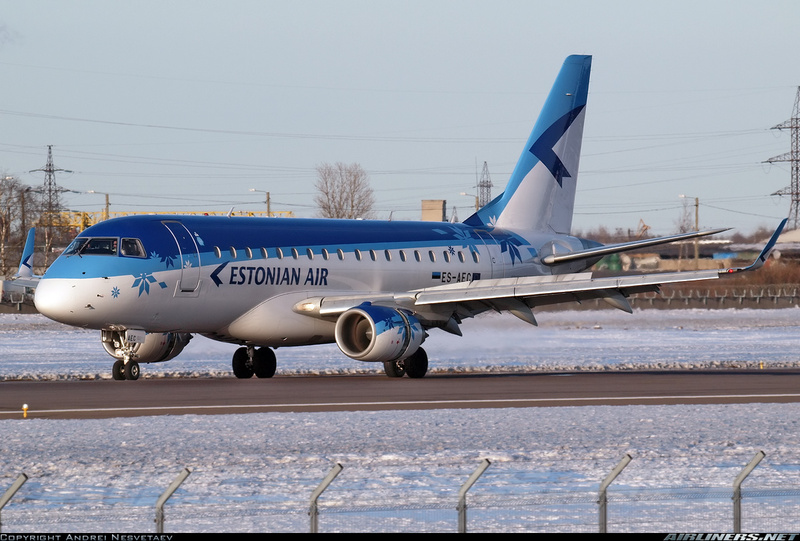 As well, many other European airlines are looking for a “white knight”, the following European Airlines with large government ownership are desperately looking for a “white knight”, IPO or privatization (e.g. Croatian Airlines, LOT, Adria Airways (Slovenia), Tarom, Air Baltic, Estonian Airlines), and it will not be easy, they have little to offer a big airline group like IAG, Lufthansa or AF-KLM, and especially in Eastern Europe the LCC’s have made a huge impact, Wizz Air (Hungary) is cleaning up and growing everywhere, with Ryanair and EasyJet slowly coming into many local countries in force, while locals like Blue Air (Romania) grow as well, all of it means trouble for local state owned airlines. I was surprised by Etihad’s choice of Air Serbia, especially given the history of animosity that the country had/has towards Islam (e.g. 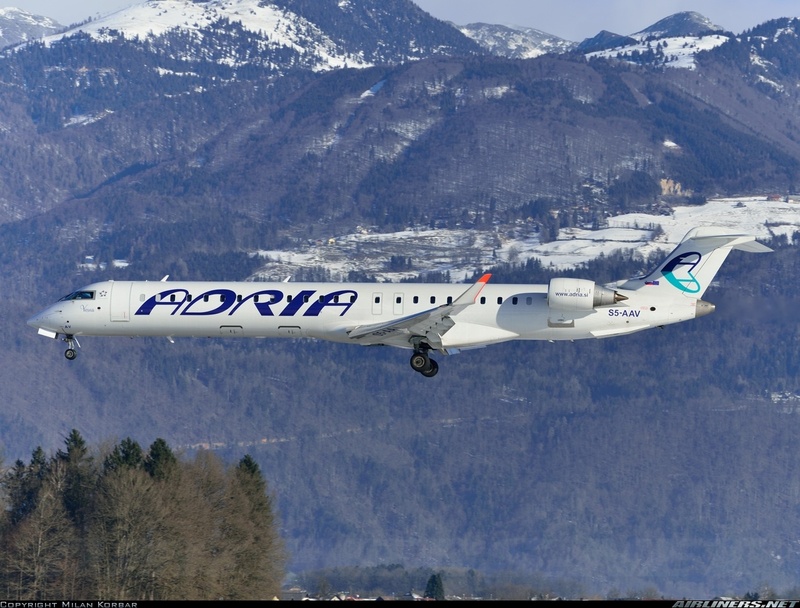 Bosnia, Kosovo) and its small size and the even the choice of turboprop regional Darwin Airlines, but it’s location in Swtzerland and the ex-JAT existing traffic rights to the US from Belgrade played a big role in those 2 small carriers being selected, I am sure. The problem is that these small national carriers find it very difficult to compete in the highly competitive European environment, for when the likes of Lufthansa, Air France and KLM struggle in Europe against the onslaught from the LCC’s (low cost carrier), these small airlines are only in business today because they have received state aid at one time, some even more times, and the question really has to be, are they viable businesses with sustainable business models ? In most cases the answer is no, like the CSA Czech airlines case, struggled for years with poor management and cronyism, finally managed to get Korean Air on board for 44% share, and the airline keeps shrinking, you do not shrink yourself to profitability, too many fixed costs and economies of scale and scope in this business, anyway the “white knight” in this case did not take charge and let the locals run the show, no no no, that you do not do in Eastern Europe, you must bring your own people in for the day to day operations, or you will realize no value from the acquisition, Air Serbia has a Etihad Airways appointed CEO Dane Kondic who knows the business and knows what it takes to drive growth and profitability, there was no way a former JAT executive was going to run the show, here the Koreans dropped the ball, and hopefully they have learned something from the experience. One of the many struggling in Eastern Europe has been CSA Czech Airlines, run by government appointed Presidents who knew little about how to profitably run an airline and was run into the ground like so many Eastern European government airlines, corruption and cronyism destroyed its ability to compete. 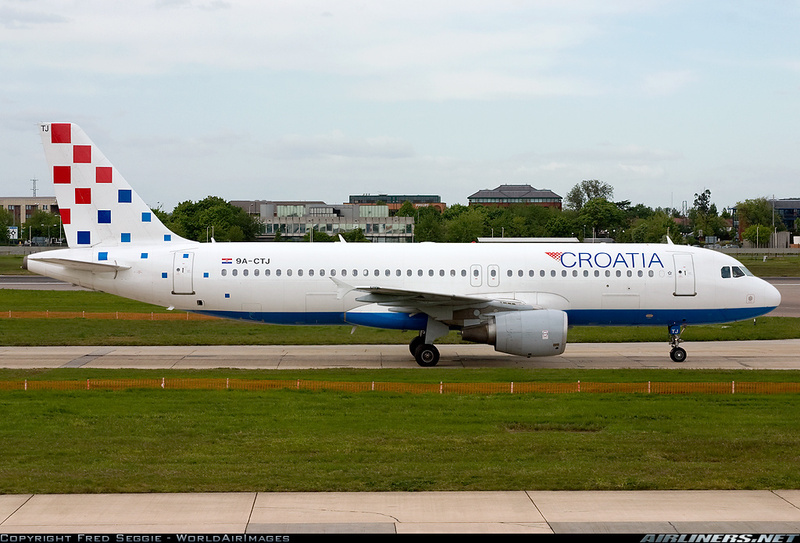 Somehow, the Czech government persuaded Korean Air to make a very rare international acquisition and buy 44% of CSA Czech Airlines in 2013 for only Euro 2.64 million (about $US 3.6 million at the time), which valued the national airline at ridiculously low Euro 6.0 million ($US 8.1 million), ! what can you buy today for that kind of money in aviation ? a 15 year old mid-size business jet ? 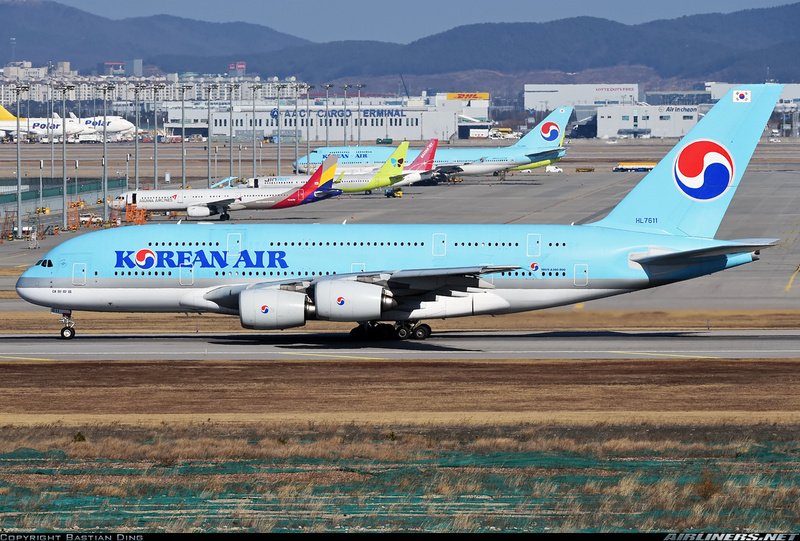 I do not think the Korean Air acquisition has worked out well for them, they wanted to secure low cost onward connections to Europe, but did they ? at the expense of traffic through Frankfurt ? It is still struggling to make a profit, and I am no optimist on this airline’s future, in 2010 it had 50 aircraft, just reduced to 18 (1 x A330, 9 x A319 and 8 x ATR’s), laid off 1/3 of employees in Septermber 2014, and last month got the remaining pilots to take a 30% pay cut. They decided to ground all their A320’s and keep A319’s, which off course means higher CASM. I know this airline very well, and it will not get better, CSA has 9 destinations in Russia as they abandoned western markets a few years ago thinking that they may find success in the East, yes they dropped London Heathrow ! and now we have a new the Cold War between NATO and Russia and surely traffic is dropping like a rock as the ruble and oil tumble and sanctions bite Russia’s Russia’s economy hard, and air travel is down in Russia to the point airlines such as Transaero and UTAir had to ask for state aid to survive. 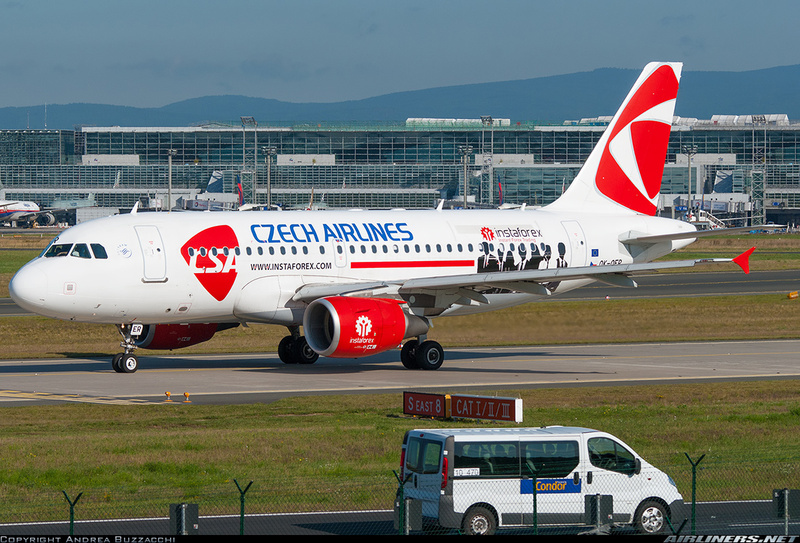 It is desperation time at CSA Czech Airlines, the inevitable is around the corner, sadly many airlines are facing the same fate in Europe. 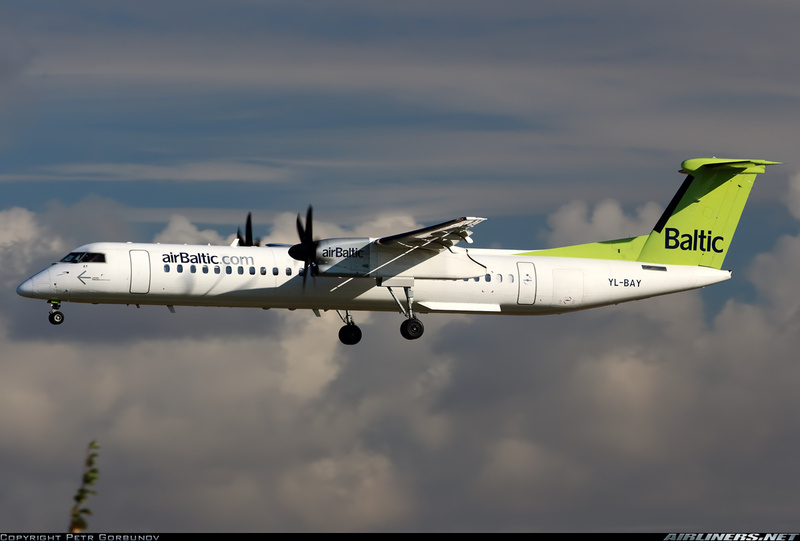 Look at Air Baltic between 2010 and 2012 in accumulated losses of EUR 200 million ($US 226 million), and made a profit of $US 1 million in 2013, now it wants to be privatized or an IPO ? and has ordered 13 Bombardier CS300 worth $US 923 million and 7 options worth $US497 million for a total of $US 1.42 billion to replace its 8 B737-300’s and 5 B737-500’s, really ?? its total revenue between 2010-2013 was Euro 1.27 billion ($US 1.43 billion), this is the kind of fantasy and unrealistic plans that many of these airlines have, and many will go bankrupt. Already this year 2 European airlines shut down, long struggling Cyprus Airways (6 x A320’s) and 94% owned by the government was shut down Jan 9th as it was ordered by the European Commission to repay Euro 65 million in aid it received from the Cyprus government the end of another national flag carrier after 67 years. 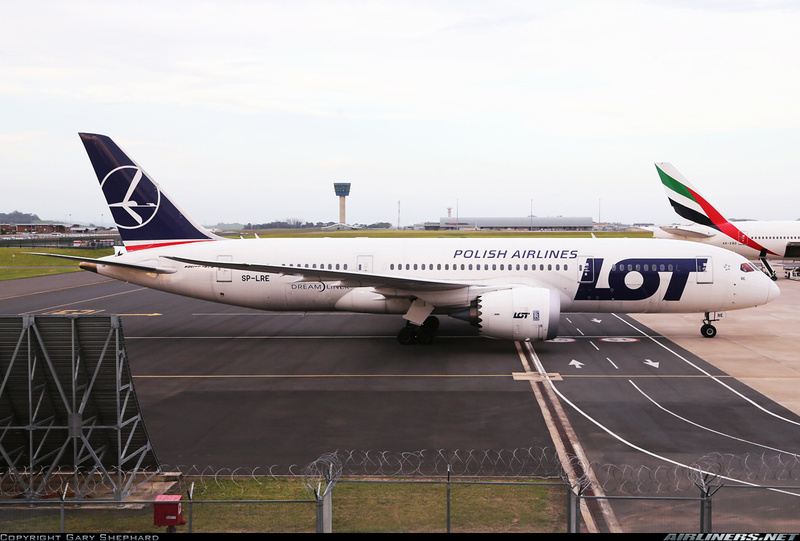 LOT Polish Airlines regional subsidiary EuroLOT (11 x Q400’s) and 62 owned by the government be liquidated on March 31, 2015, as there were “no prospects for profits in the foreseeable future”. LOT says it will take over the operation, but how will that help LOT attract a “white knight”? it won’t, it will just drag LOT down, the airline returned to profitability last year and introduced finally the B787-8 after many delays, a big settlement with Boeing surely helped its bottom line. LOT needs to find a ‘white knight” but only Turkish Airlines showed any interest but it walked away. 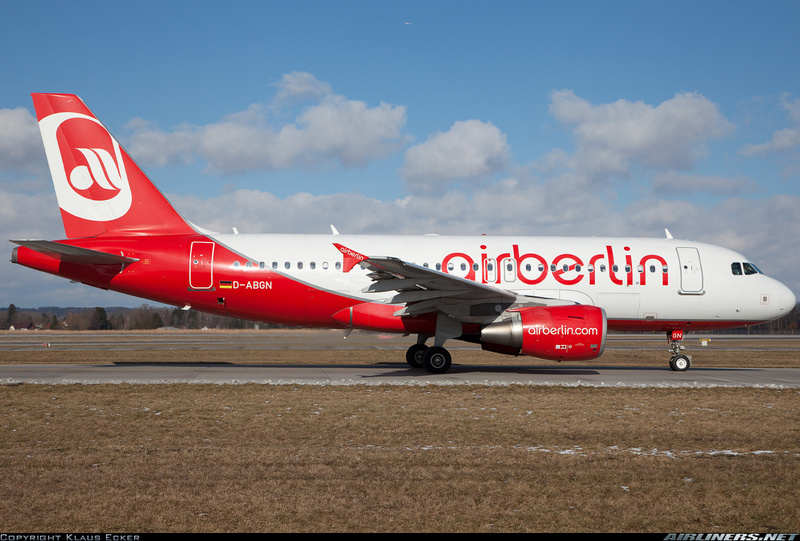 Etihad Airways (Abu Dhabi, UAE) takes 29.21% of Air Berlin, “Turbine” restructuring program continues with slow progress, but now a new CEO comes in, Fiji Airways CEO Stefan Pichler (ex-LH, Thomas Cook, Jazeera Airways) will replace Air Berlin’s CEO Wolfgang Prock-Schauser this month. Yields are down 4.4% in 3Q/14 and costs went down only 0.9%. 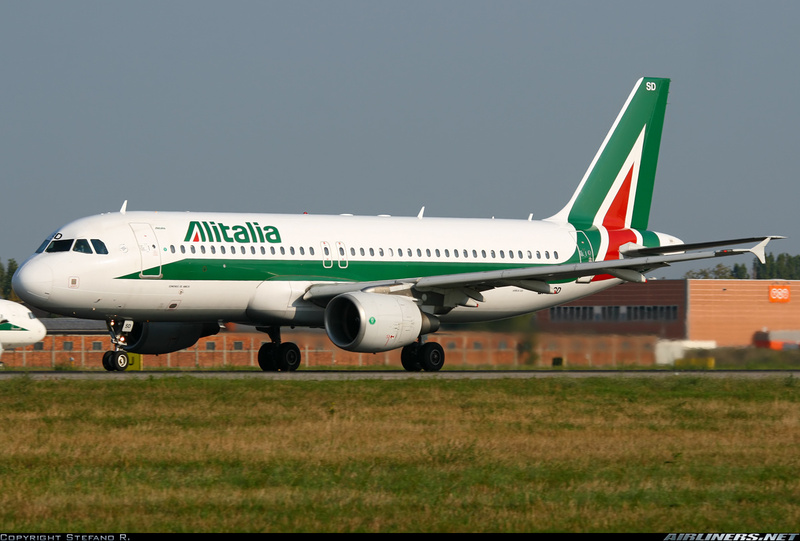 Etihad buys 49% of Alitalia for $US 2.4 billion, Air France-KLM walked away from Alitalia, and in came Etihad Airways, very keen to channel Asia traffic to Abu Dhabi and use open sky to penetrate the US market through Rome and Milan. 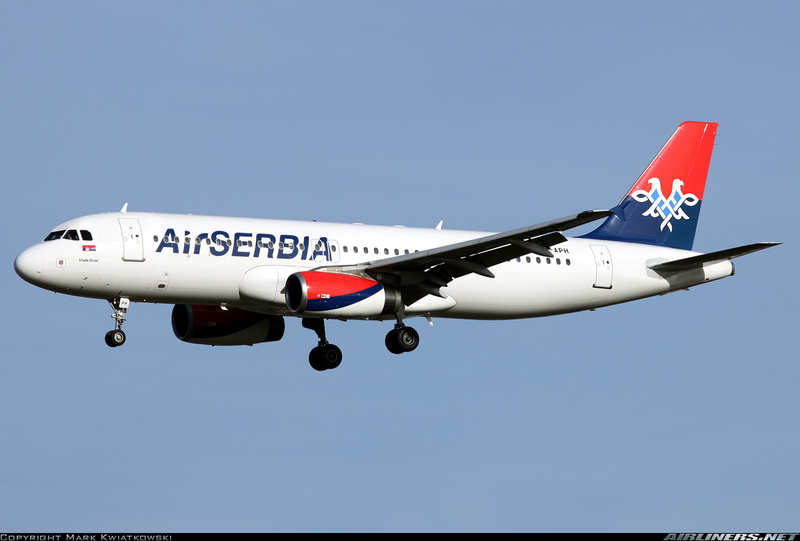 Etihad buys 49% of Air Serbia (ex-JAT), restructuring complete, things look good, though EU is investigating the non-EU deal as well as the Darwin Airlines deal ? 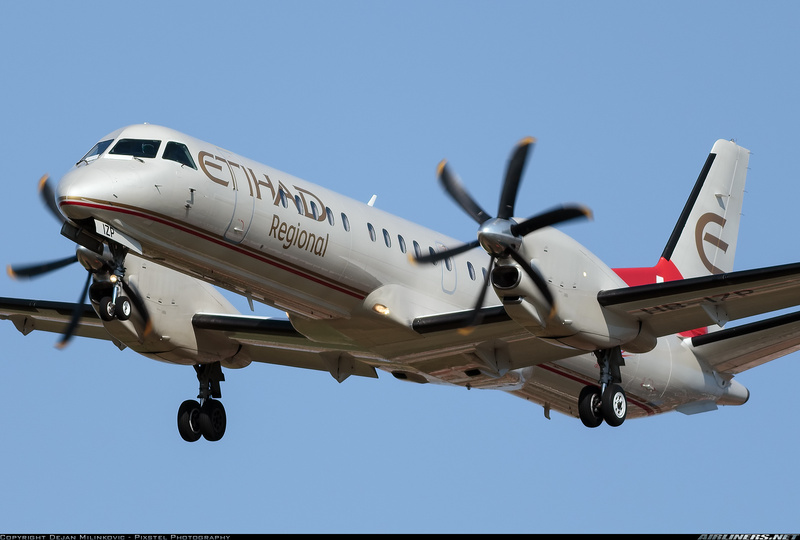 Etihad buys 34% of regional Darwin Airline, now Etihad Regional the Swiss CAA has concerns about the dependence of Darwin Airlines on Etihad and who really is in control. HNA Group (China) owner of Hainan Airlines, bought 48% of French airline Aigle Azur, and will help the 11 x Airbus A319/320 airline to get 2 x A330’s and fly to China since Hainan Airlines cannot get the rights from the Chinese CAA. HNLA (China) (Henan Civil Aviation Development & Investment) buys 35% of cargo specialist Cargolux (Luxembourg), which operates 11 x B747400F’s and 11 x B747-8F’s. 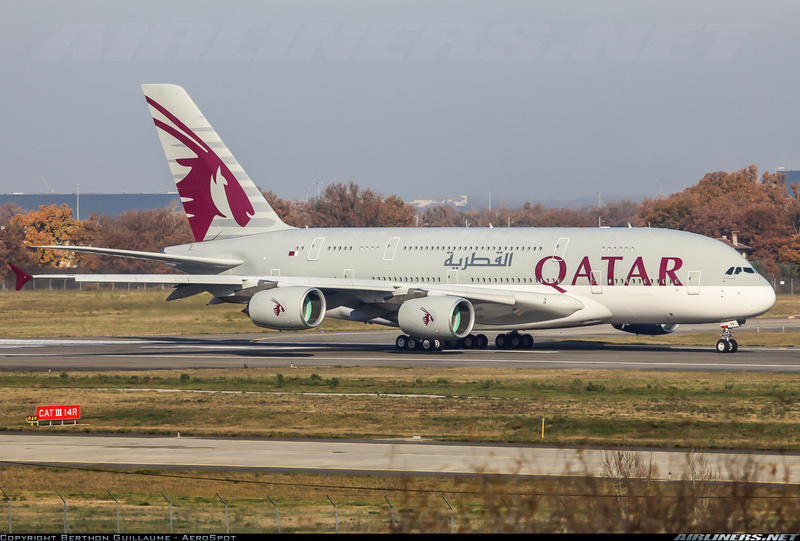 The 35% was previously owned by Qatar Airways which bought it in 2011, later was looking to move much of it to Qatar, disputes began and Qatar returned the 35%. Delta Airlines (USA) buys 49% of struggling Virgin Atlantic. Korean Air (South Korea) buys 44% of struggling Czech national carrier CSA Czech Airlines, my experience says they should have their own people in top management positions, this will in the end be a failure, too much corruption around CSA has been its down fall, lots of money squandered my past executives. Etihad bought step by step 4.9% of Aer Lingus, that will now be bought up by IAG and Etihad will actually see a profit from one of its European Equity Alliance investments. Right now IAG is in a good place to really pull ahead of the others, it has 100% of British Airways, 100% of Iberia and 100% of LCC Vueling, all doing well, after some tough restructuring. With 458 aircraft at the end of 2014 it plans to have 472 by year end 2015, and is getting rid of is last B737 in 2015, reducing the B747 fleet by 4, as well as the B767 fleet by 3 while adding 5 B787’s, 2 A380’s and 21 A320’s. This will give it a much more fuel efficient fleet, in fact an operating cost saving of $US 633 versus 2012 just due to fuel savings. The future looks good for IAG, look for the stock to go up a great deal in 2015, and this group is getting it together, British Airways, Iberia, Vueling (LCC) now Aer Lingus, and all are making money, gone through their respective restructuring, and taking full advantage of open skies with the US. No wonder IAG has issued very bullish long term hopes, just 3Q/14 IAG operating profit was Euro 900 million ($US 1.01 B), revenue rose 9% to Euro 5.9 billion ($US 6.67 B), 2014 was a very good year, 2015 will be better. Look for more consolidations in Europe, and IAG is in a position to become the #1 airline group in Europe, while Lufthansa and Air France-KLM strive to get their act together, 2015 will be interesting, low fuel prices will improve bottom lines for most airlines and that means airline stocks will rise in 2015 so go out and buy stocks in WJ, AC, DL, UA, LH, IAG, etc. you won’t go wrong. We will keep an eye out for future mergers and acquisitions, but surely close attention to SAS, Finnair, TAP Air Portugal is warranted. Thank you again for reading my blog, till next time, bye. « ABSTRACT: Porter Airlines, now 8 years in operation and Canada’s 3rd largest scheduled airline has been in a state of semi-oblivion since 2011 when it received the last of its current 26 Q400’s, but the latest sale of its Passenger Terminal at Billy Bishop Toronto City Center Airport (CYTZ) for a reported C$ 750 million now gives Porter the money to move forward with its purchase of 12 plus 18 options for the Bombardier CS100’s, just needs to ‘influence’ Toronto’s City Council to allow jets into the airport and lengthen the runway by 400 meters, Bombardier desperately needs this Canadian/North American order for its struggling program, the political obstacles will surely be taken care off, so it is now very likely that Toronto’s City Council will approve of the lifting of the jet ban, agree to the runway extension and the CSeries will be in Porter’s livery one day as money always talks in politics and business, though Toronto will have another major airport right in downtown Toronto that will have to handle +4.5 million passengers ! but is the CS100 strategy the right one for Porter Airlines ? get the strategy wrong and it will bankrupt the airline in no time and can anyone ever change the airline duopoly in Canada ?